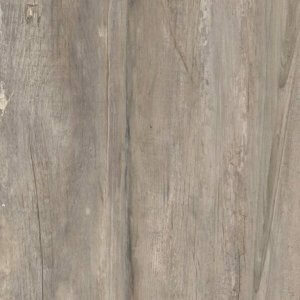 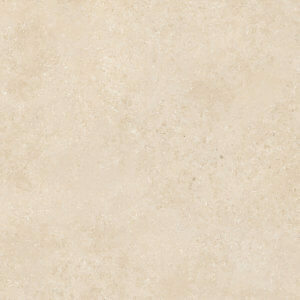 Ask about our trade 16mm porcelain Brava range. 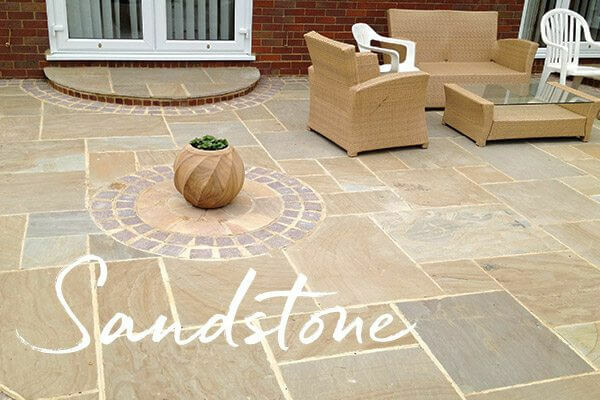 We stock beautiful sandstone paving in numerous natural stone paving styles and colours, perfect for your next project. 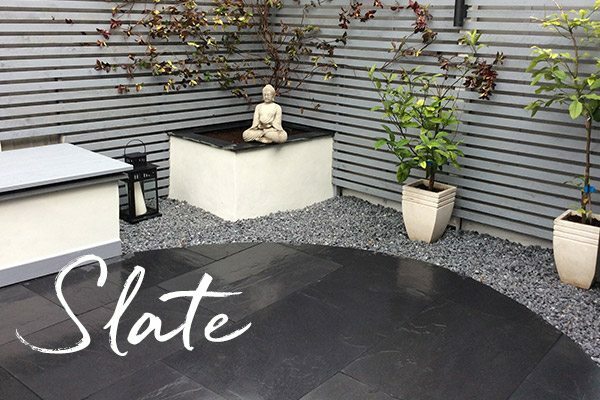 We stock beautiful slate paving in numerous styles and colours, perfect for your next project. 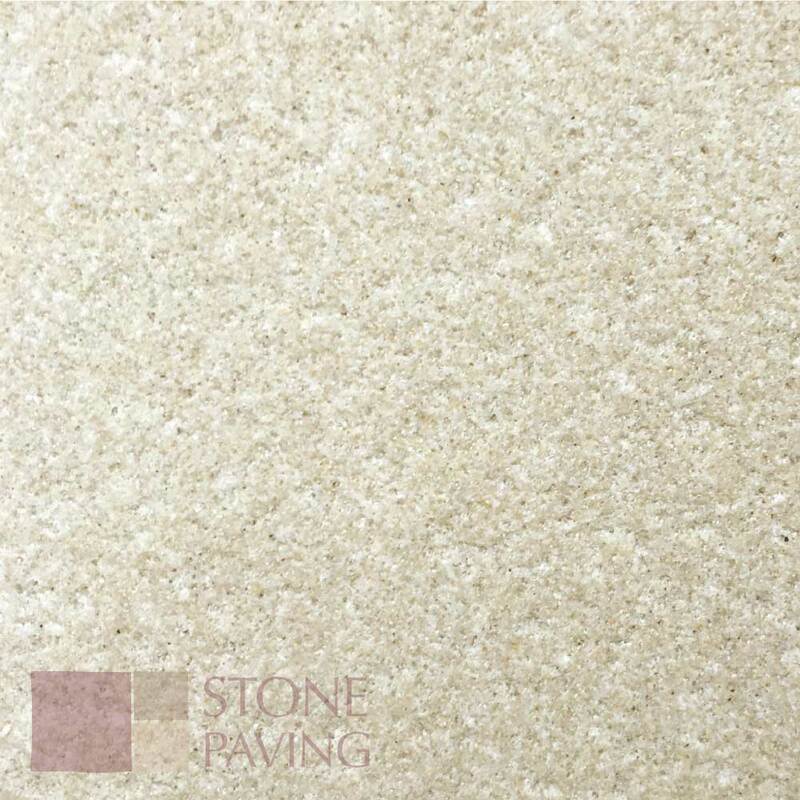 We stock beautiful limestone paving in numerous styles and colours, perfect for your next project. 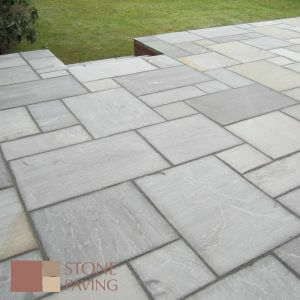 Welcome to Stone Paving Supplies, the home of natural stone paving and Villa Porcelain. 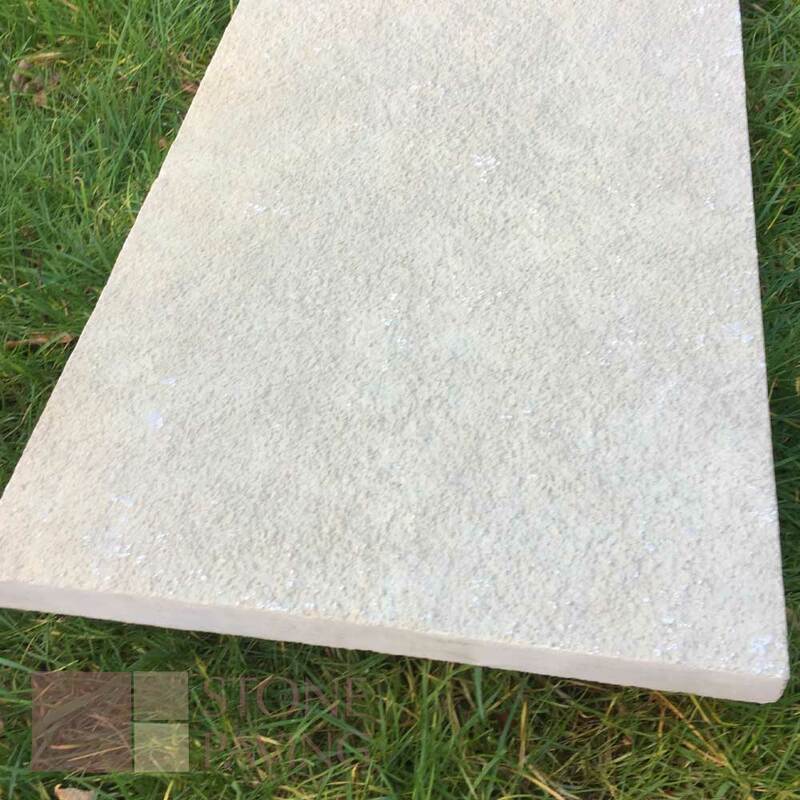 Stone Paving Supplies are a leading UK supplier of natural stone paving and porcelain to landscaping customers in both domestic and commercial markets. 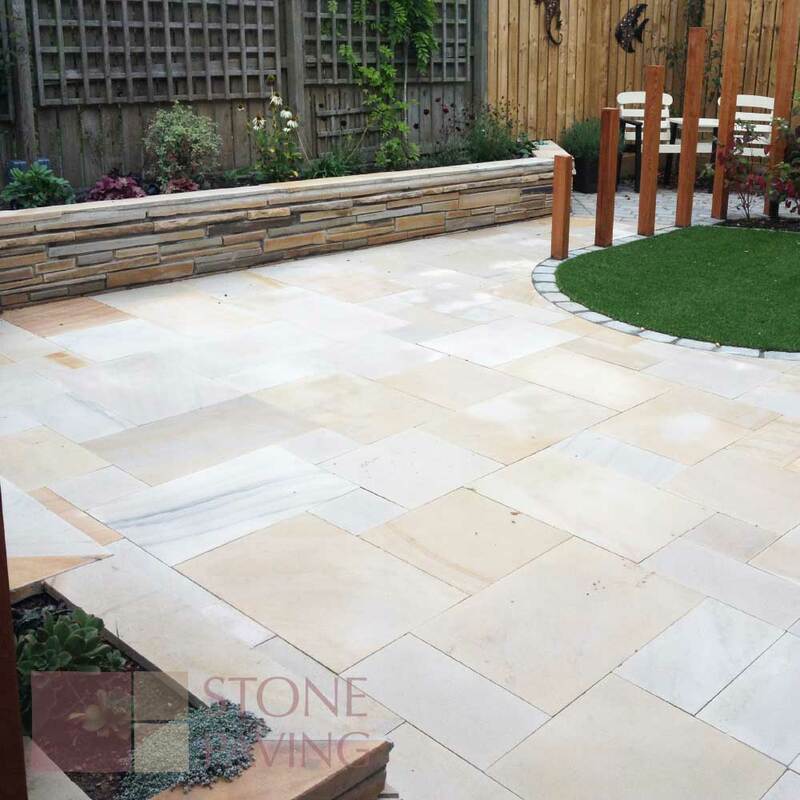 For all projects in the home garden to an office courtyard, Stone Paving Supplies meets all your needs with a choice of Limestone, Sandstone, Granite, Slate, Travertine and Porcelain. 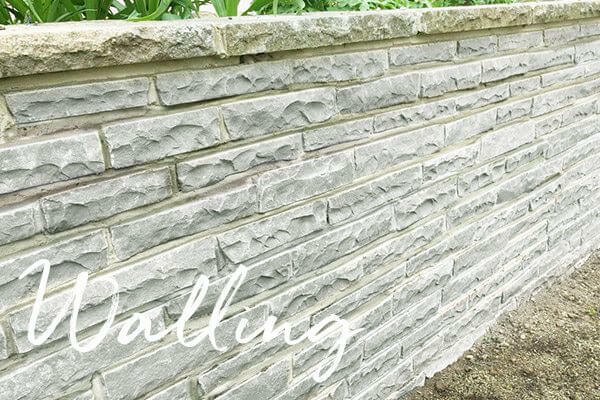 We also supply natural stone Cobbles and Walling. 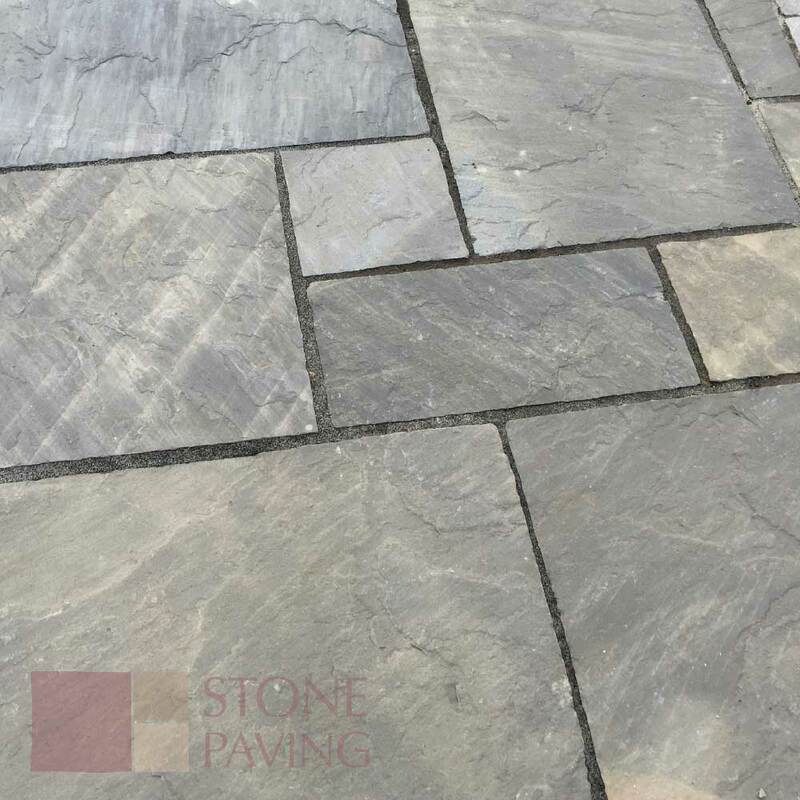 Stone Paving supply Stockists throughout the UK with range of competitively priced natural stone paving products and porcelain. You can expect to receive a modern approach to a traditional industry. 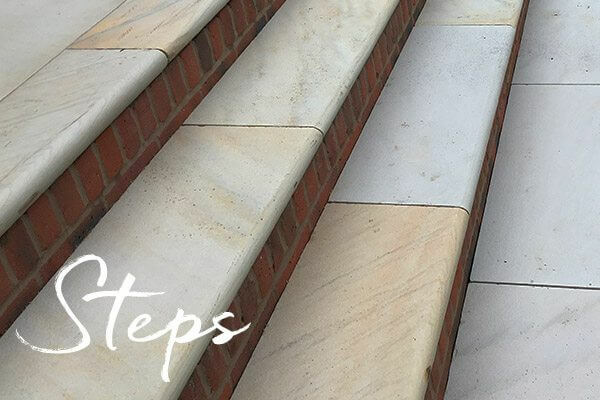 If you would like to offer our product range as a Stockist, we’d love to hear from you. 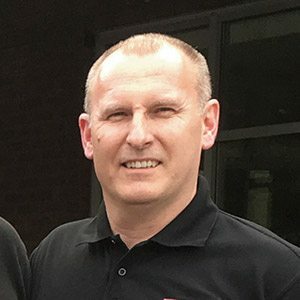 Please contact us today so that we can discuss how we can work together. 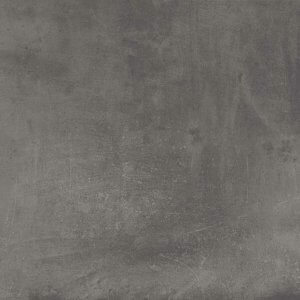 Regrettably, we only deal directly with Stockists. If you have seen something you like, let us find you a local Stockist. 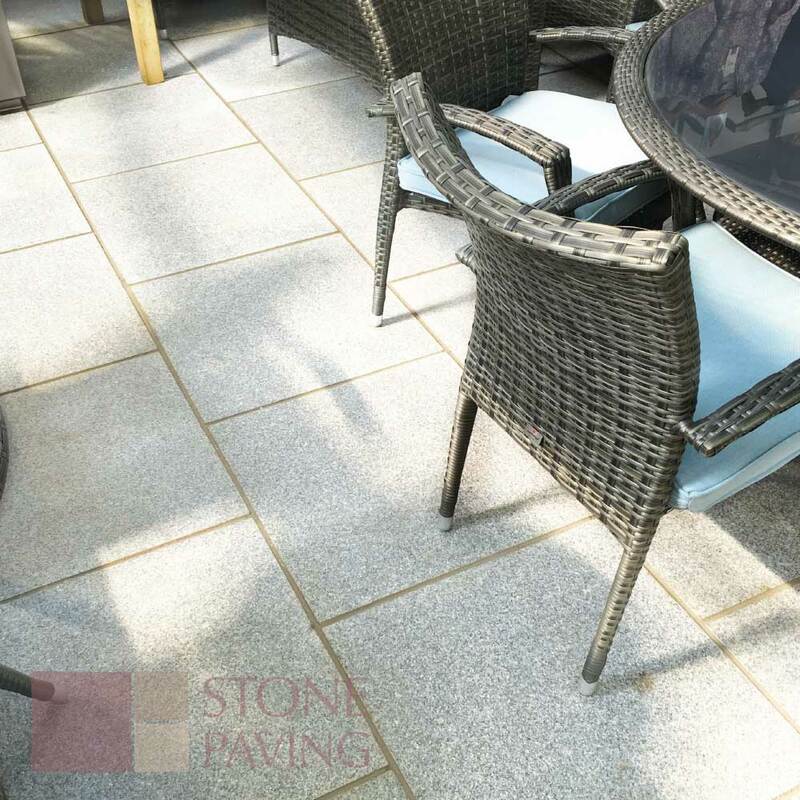 Villa Porcelain is a hard wearing, high quality and modern paving tile perfect for those contemporary designs. 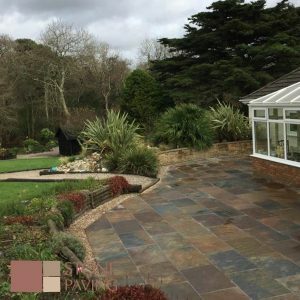 Villa Porcelain enjoys the properties of being frost proof, colour fast and impermeable making it hard wearing, and more resistant to grime, mould and staining. 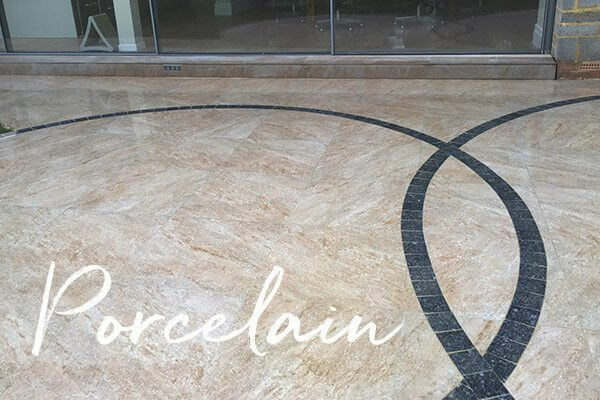 Furthermore, the surface is created to be less slippery than many alternative surfaces making Villa Porcelain suitable for swimming pool surrounds. 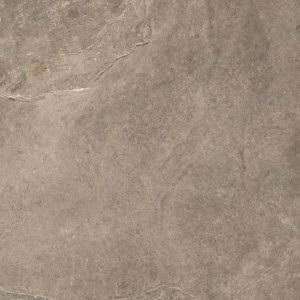 It achieves R11 slip skid value as a minimum. 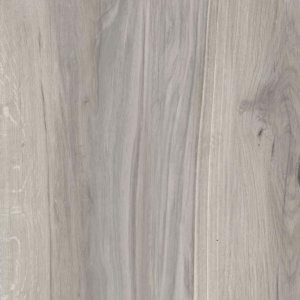 During the manufacturing process, a variation in the dimensions can occur and rectifying will provide a consistent edge to all sides. 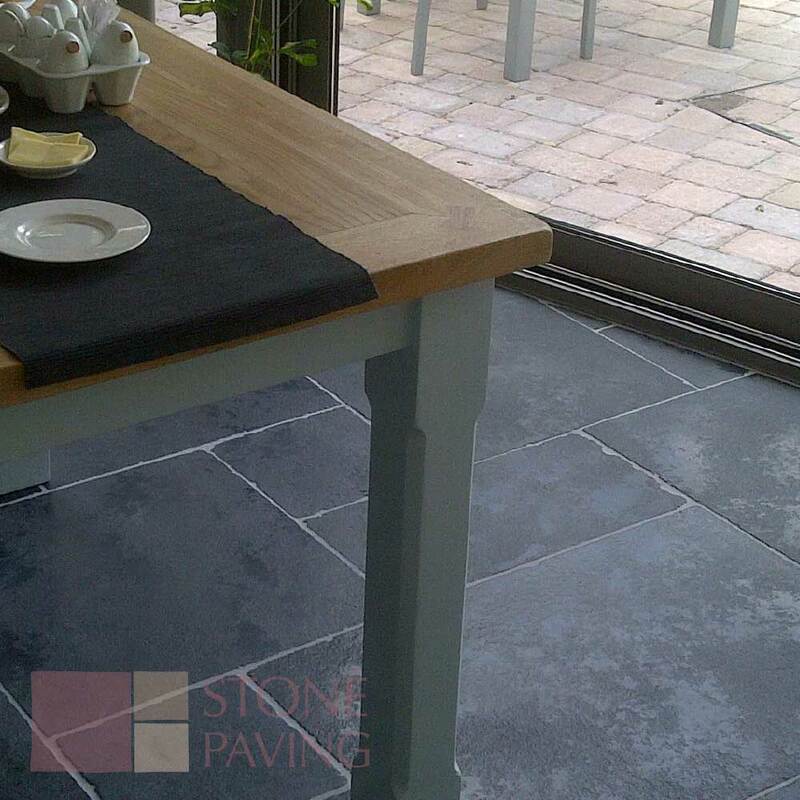 This allows Villa Porcelain to be installed with a narrow joint which provides a balanced and harmonious appearance. 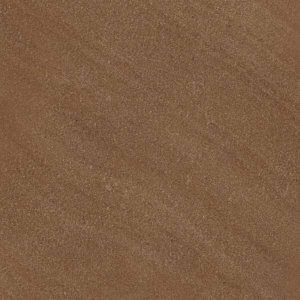 *As there may be slight colour variations in manufacturing, please ensure tiles are supplied from similar batches. 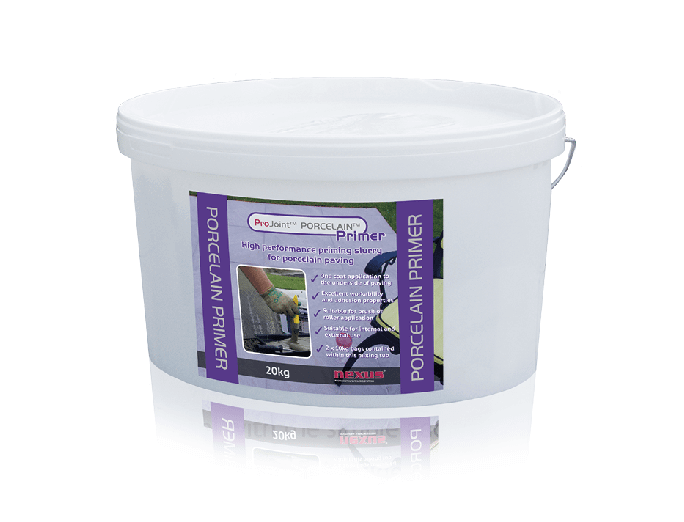 The ProJoint™ PORCELAIN™ Primer is an ultra-high polymer and fibre modified flexible waterproofing primer with excellent workability and adhesion properties. 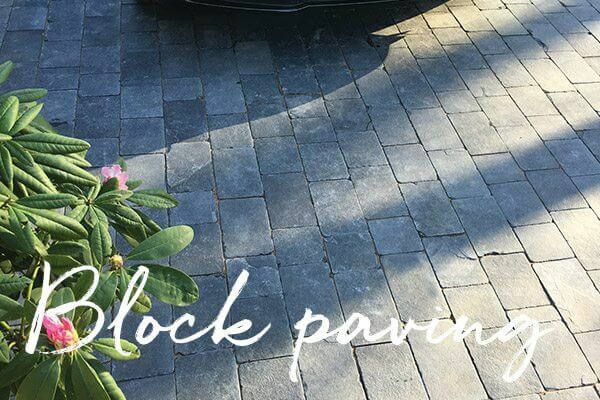 Applied in one coat for fast application to promote adhesion and control suction on difficult substrates such as porcelain, concrete, ceramic tiles, paving slabs or setts. 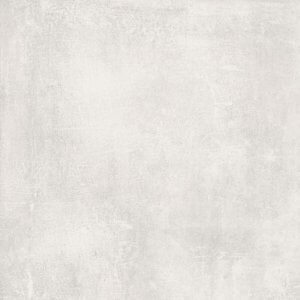 View more information here. 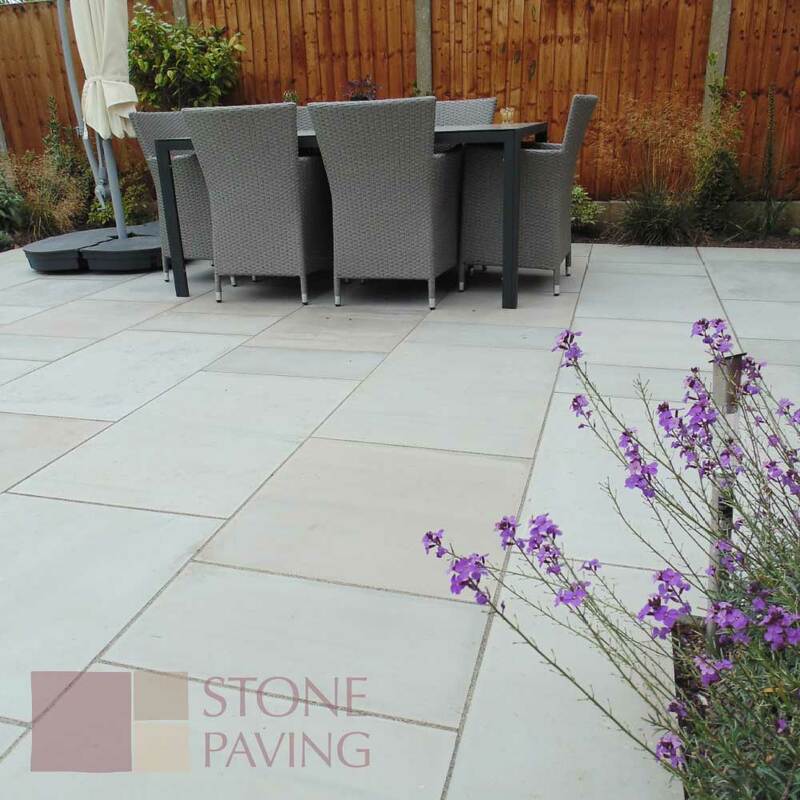 Would you like to know more about our porcelain paving range? 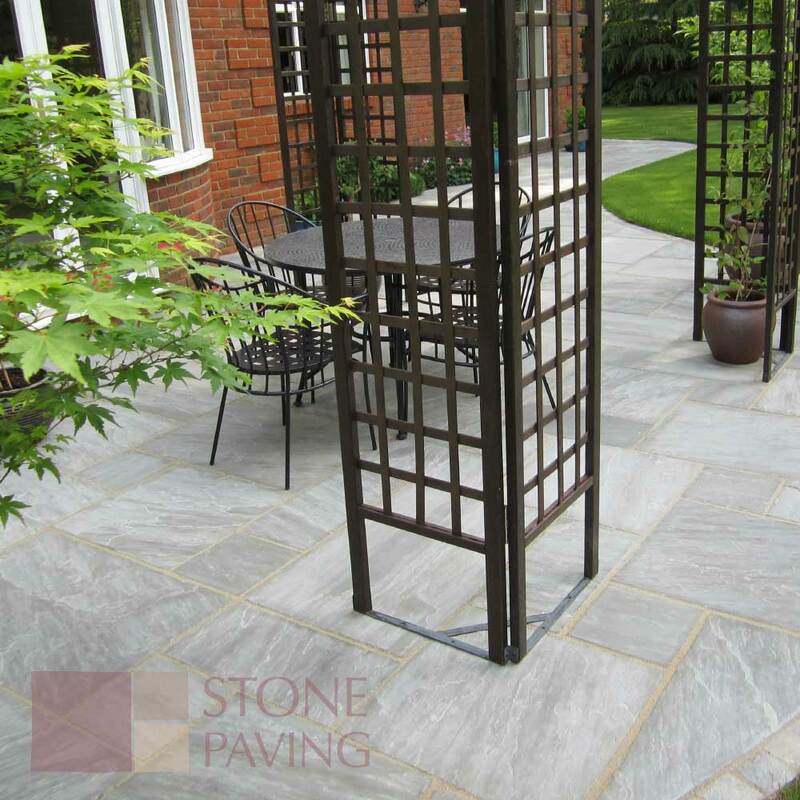 Premier flagstones are a modern design with clean lines achieved by machine cutting. 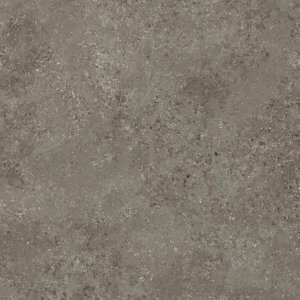 Available in many colours and finishes including Smooth, Textured with a gentle tactile finish or even Weathered or Natural. 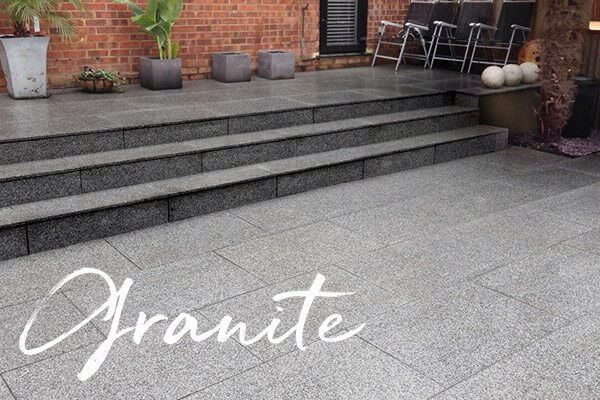 As the name suggests, the Premier™ range never fails to deliver that contemporary feel with its impressive manufacturing process the end result is guaranteed to add a touch of class to any open space. 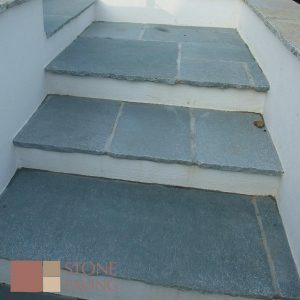 Stone Paving are delighted to offer an impressive colour choice, all offered in beautiful Sandstone, Slate and Granite. 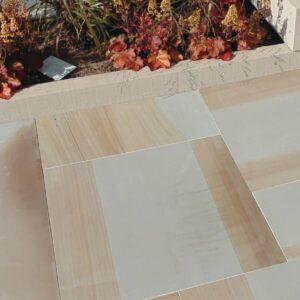 Would you like to know more about our premier natural stone paving range? 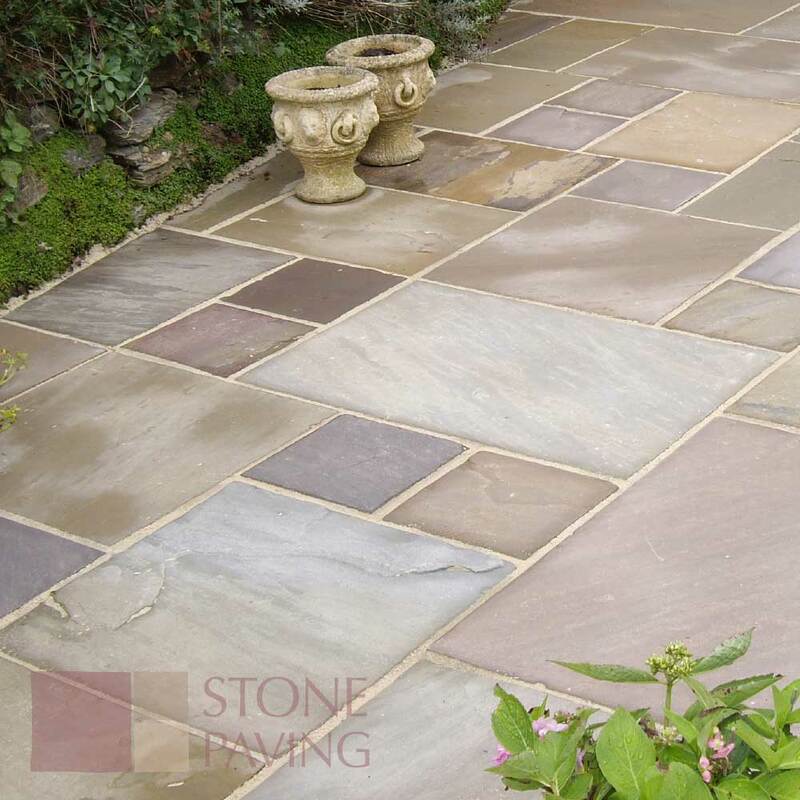 Weathered Flagstones have an aged appearance with softer edges and surface. 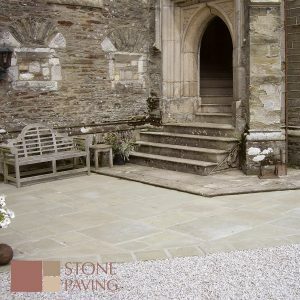 Ideal for period properties wanting the look of flagstones that have been laid for many years. 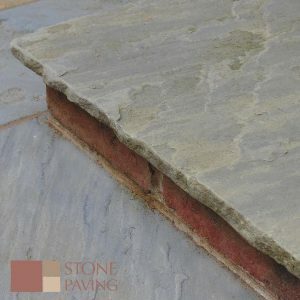 This range is supplied in 22mm calibrated patio packs and comes in two types of stone and six colour ways. 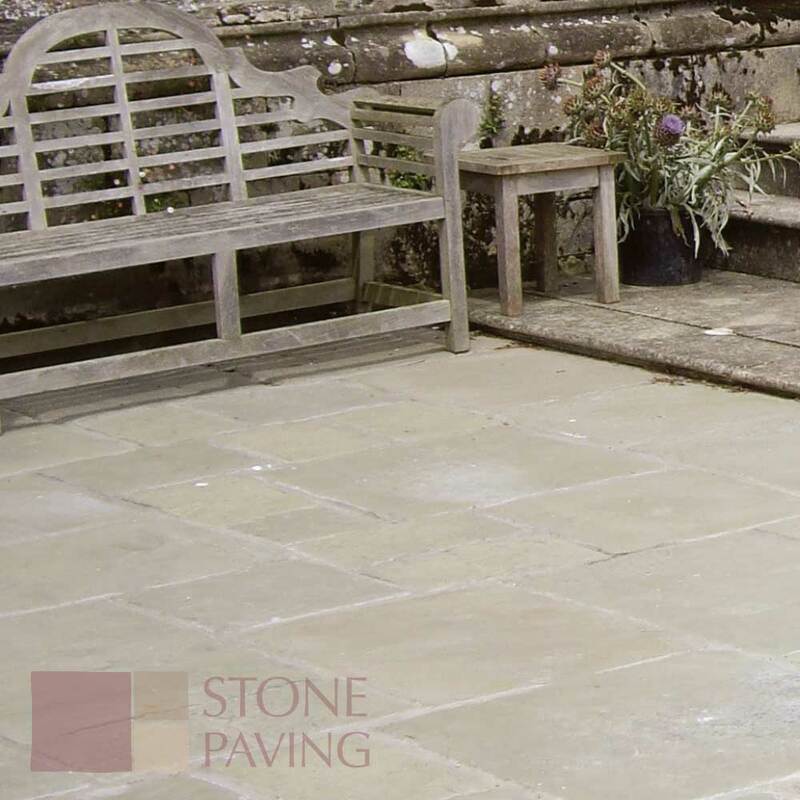 Would you like to know more about our weathered natural stone paving range? 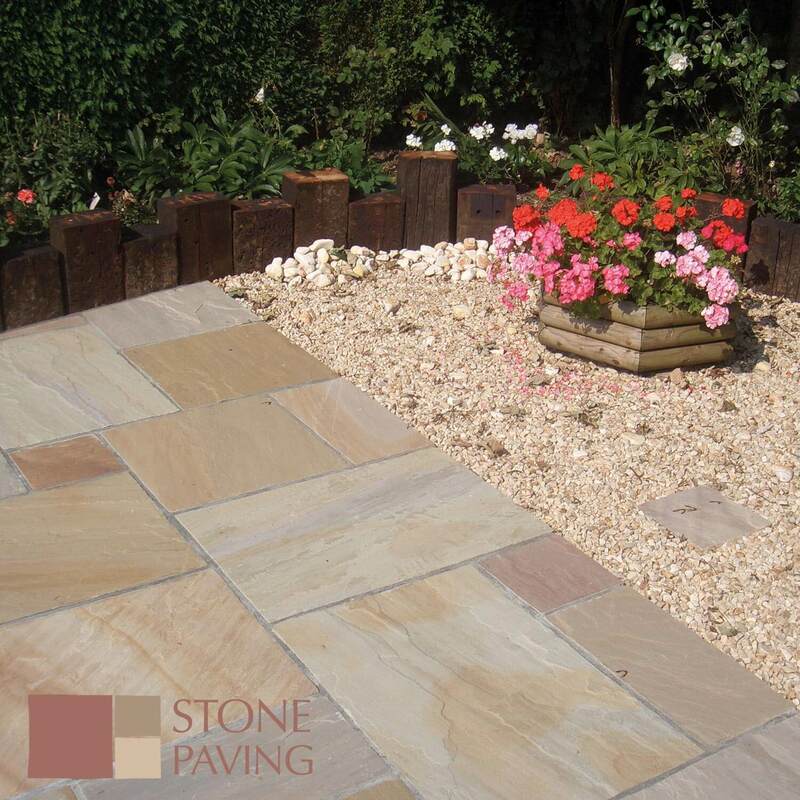 Traditional Flagstones are sandstone or limestone hand cut flags with a rustic surface finish in eleven shades. 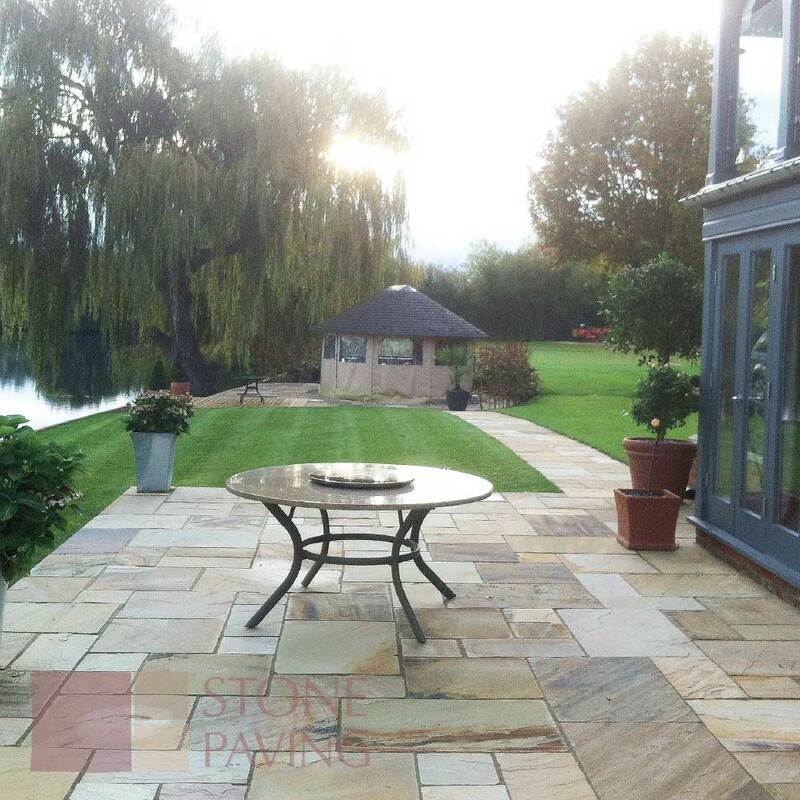 Would you like to know more about our traditional natural stone paving range? 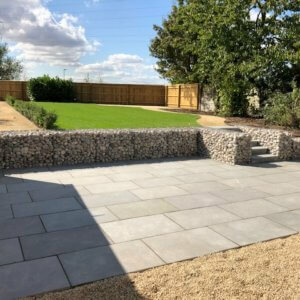 Over the years we are delighted to have collected some fantastic reviews which all have something in common, quality of product and customer service. 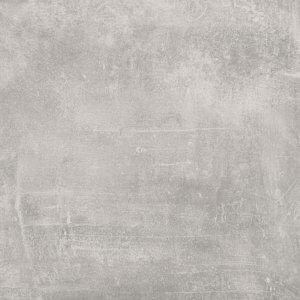 Here are just a few reviews. 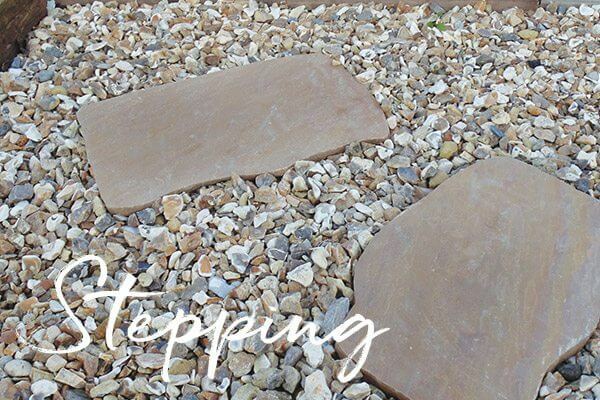 At Stone Paving Supplies, we choose only the best products and put you first, every time. 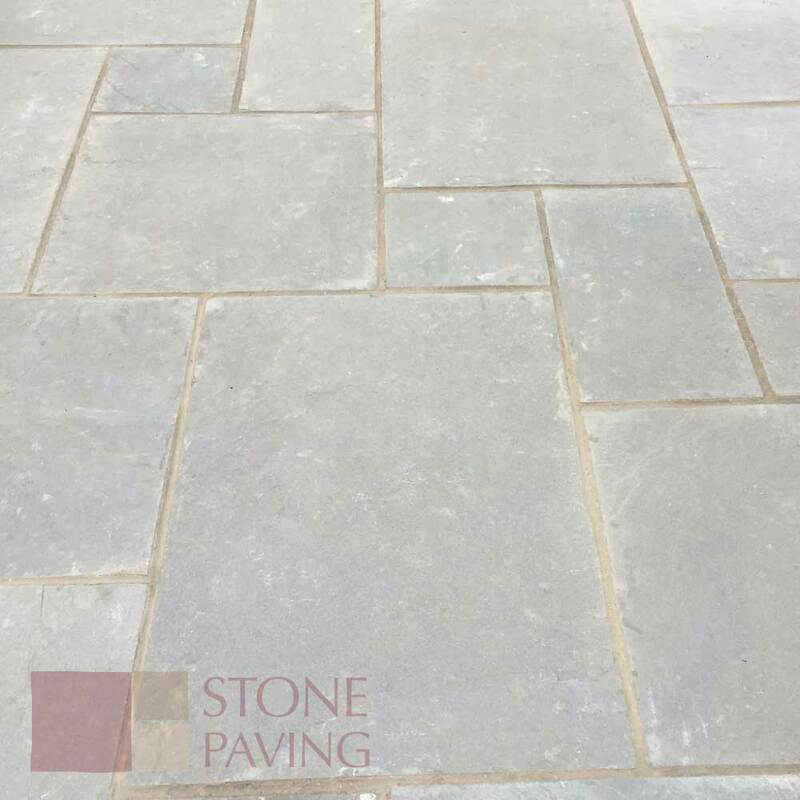 We have been trading with Stone Paving Supplies since the company started. 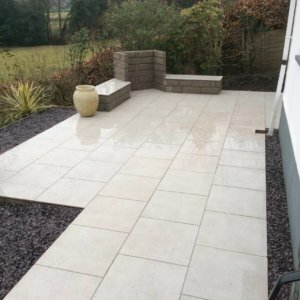 For a young company they have a real wealth of experience with Gerry and the team and the service they provide is excellent. 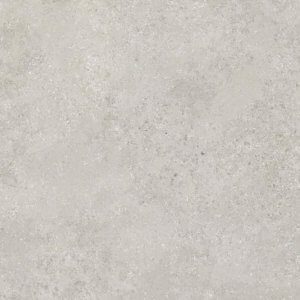 There is a consistent drive to move forward with regular updates of new products and trends on the horizon. 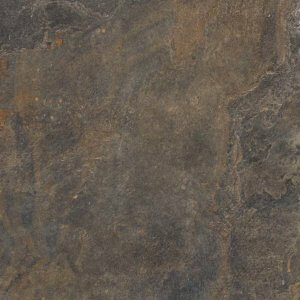 Delivery is always prompt and accurate and the quality they provide is always at high standard. 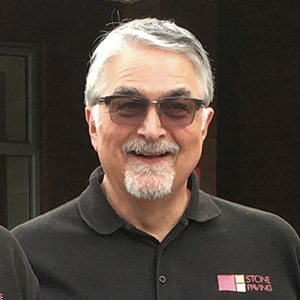 The key element for us that we are dealing with real people, people that share a passion within the stone industry and have a genuine interest in helping us as a supplier connect with our customers and move us forward with them. 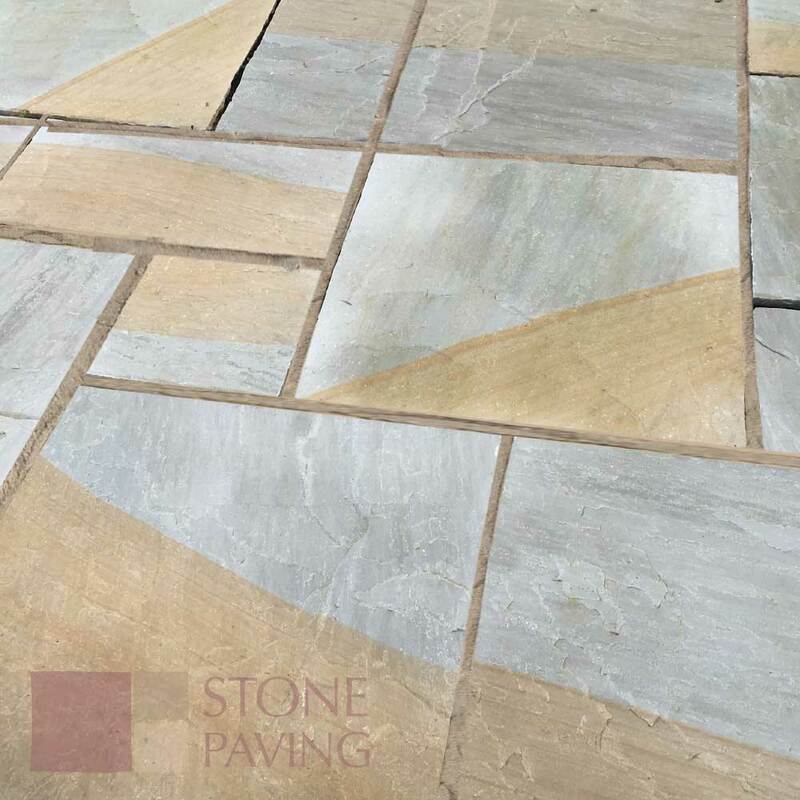 Always found Stone paving supplies to be extremely helpful , there customer service is always excellent and the quality of the products is always of a high standard . 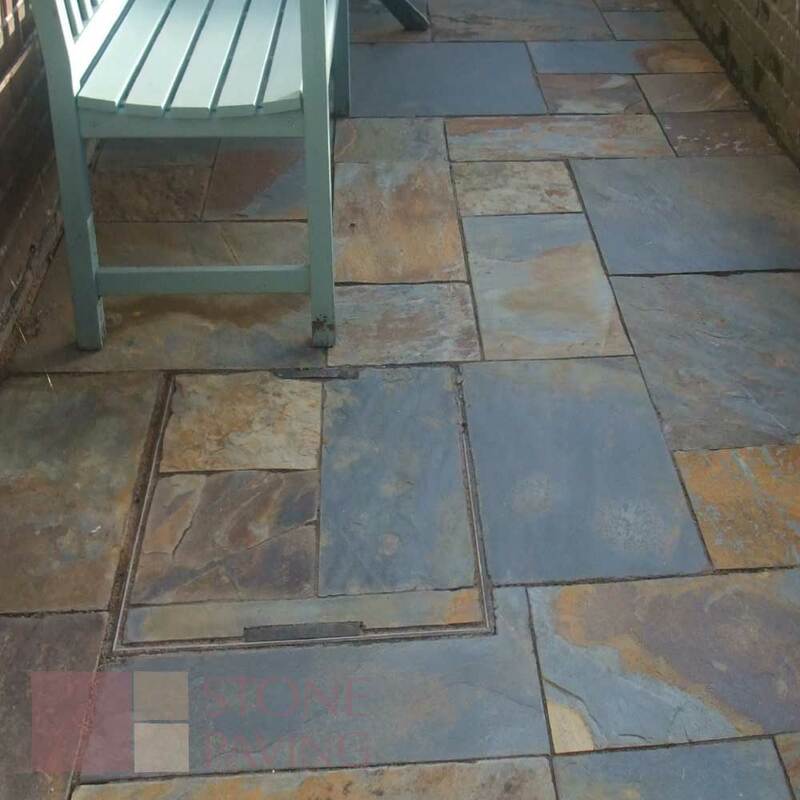 Always a pleasure to deal with Mark and any issues are always rectified quickly and efficiently . 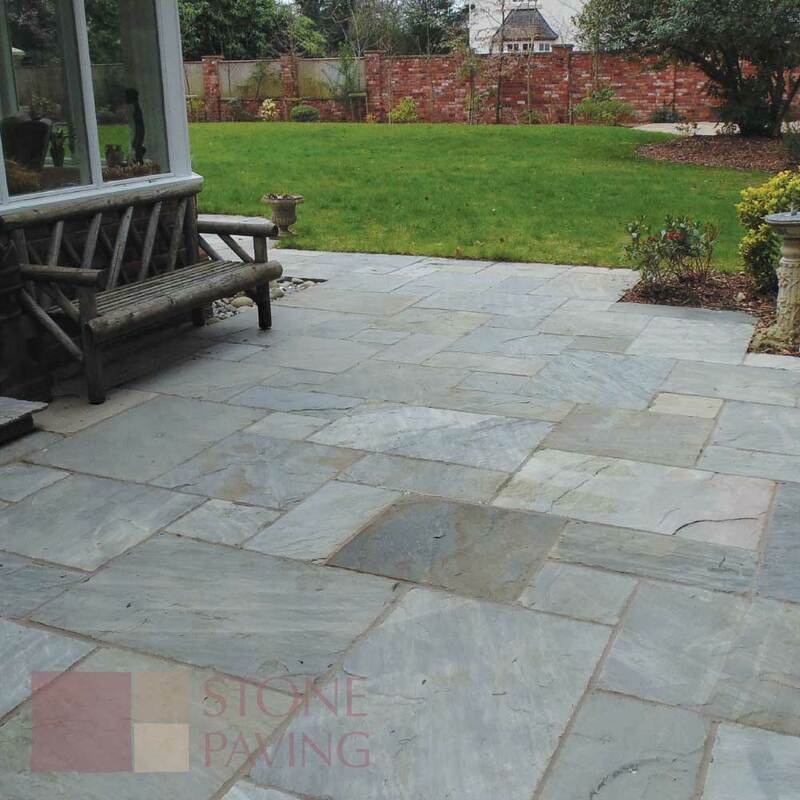 The Stone Paving Supplies team deliver quality natural stone with impeccable efficiency. 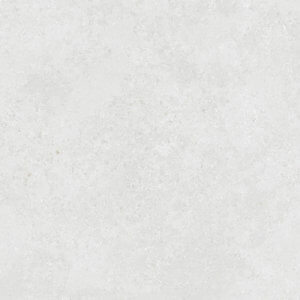 Their customer service is second to none, any problems we’ve had have been dealt without any issue. 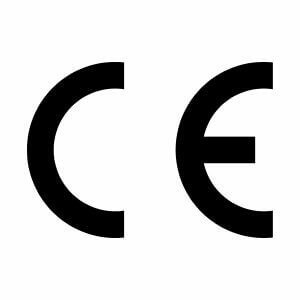 It is always a pleasure dealing with them. 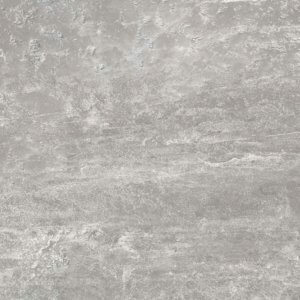 Fantastic price and delivered within four days. 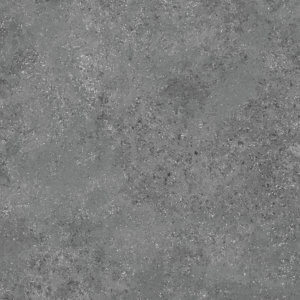 Really cant ask for me. 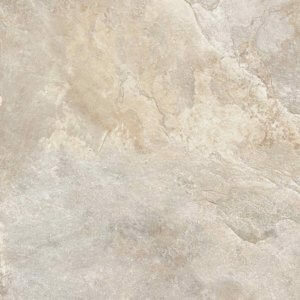 The ladies on customer services are always very helpful and can't do enough to help. 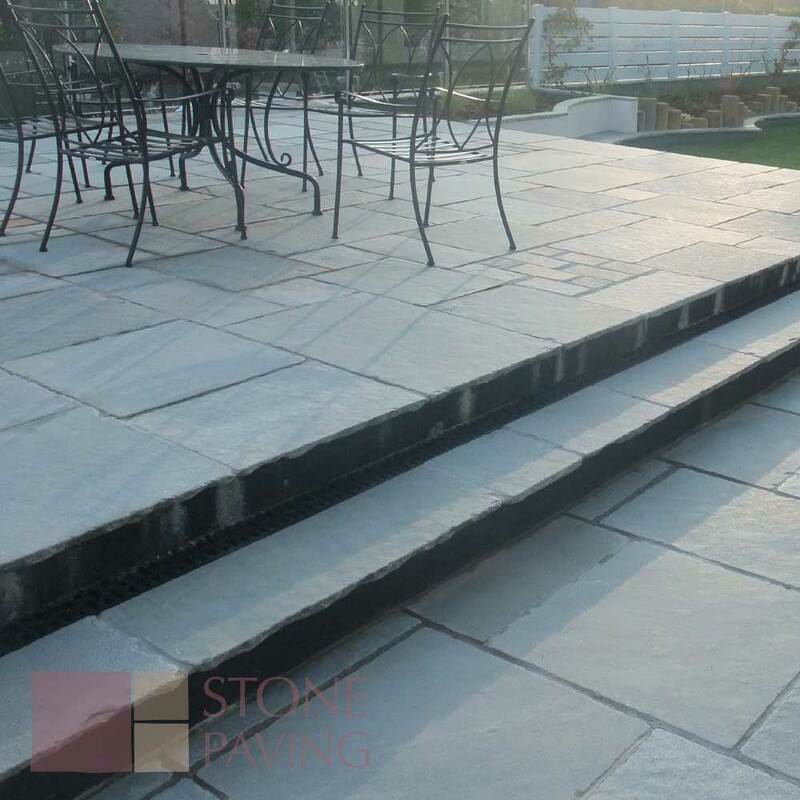 Stone Paving Supplies are a professional supplier of all our natural stone paving supplies together with their Villa Porcelain range. 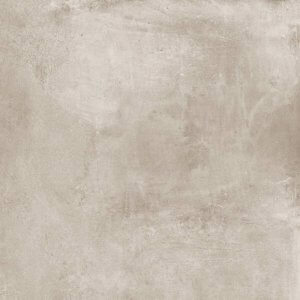 I find them easy to deal with and Gino is helpful at all times ready with my sometimes onerous requirements. 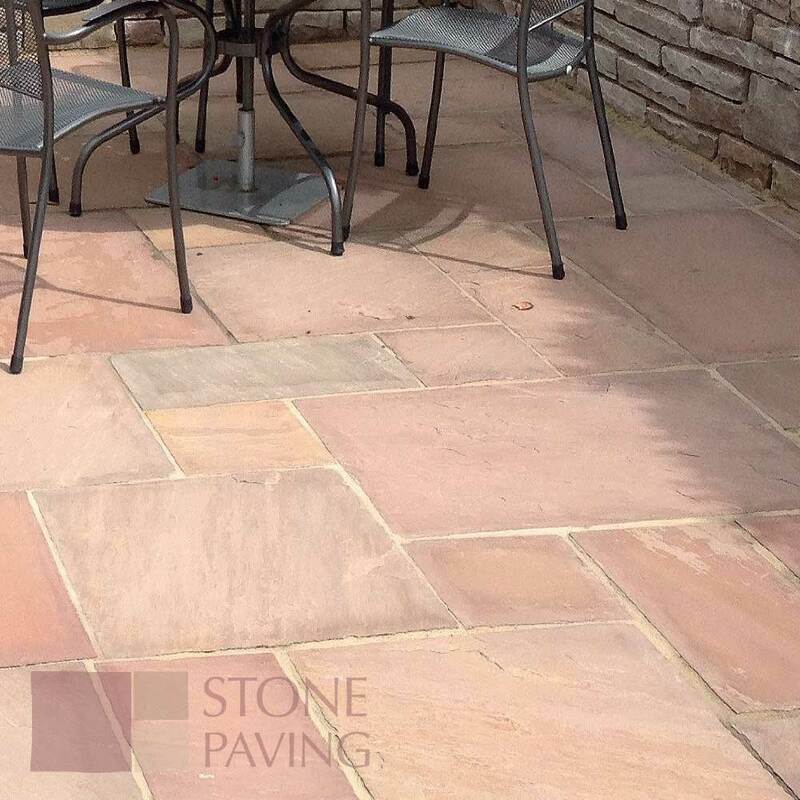 Always a pleasure to deal with Stone Paving Supplies as they are a company truly based on good relationships. 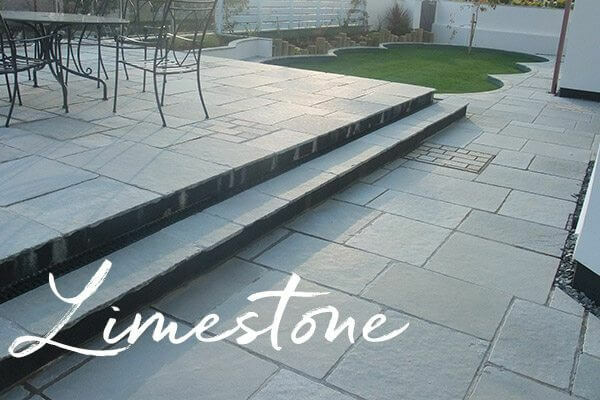 They supply outstanding quality natural stone and exceptional porcelain paving, all at competitive prices. 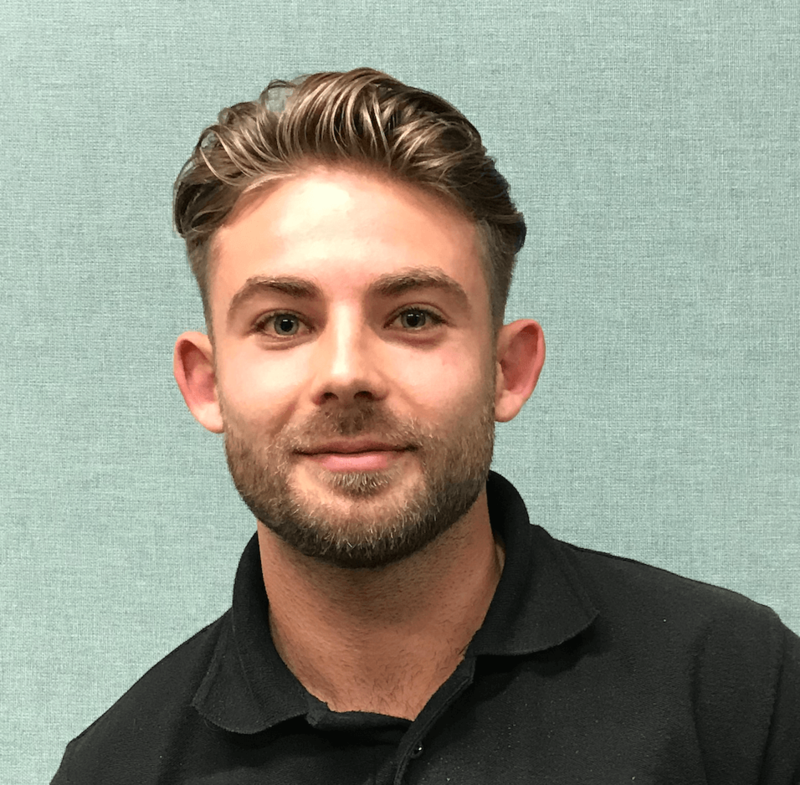 Gino is one of the extremely knowledgeable sales reps who constantly offers us great service and support - which of course is all backed up by the magnificent office staff and the other commendable directors. 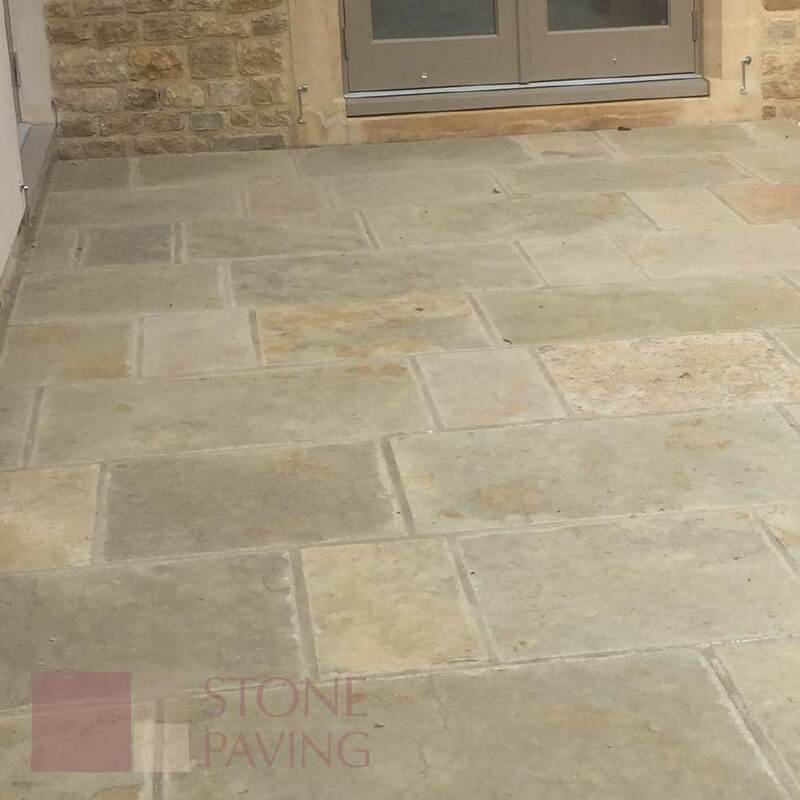 Stone Paving Supplies are suppliers of Limestone, Sandstone, Granite, Slate, Porcelain and Travertine to a network of stockists throughout the country. 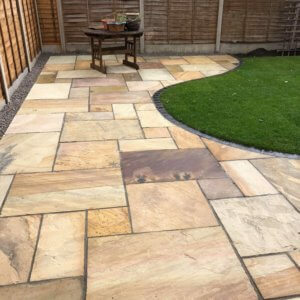 Should you be looking to purchase some of our products for your own project, we would be only too happy to put you in touch with your local approved stockist who in turn, can assist you directly. 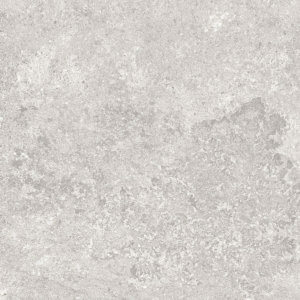 Please let us know where you are and we will do the rest. 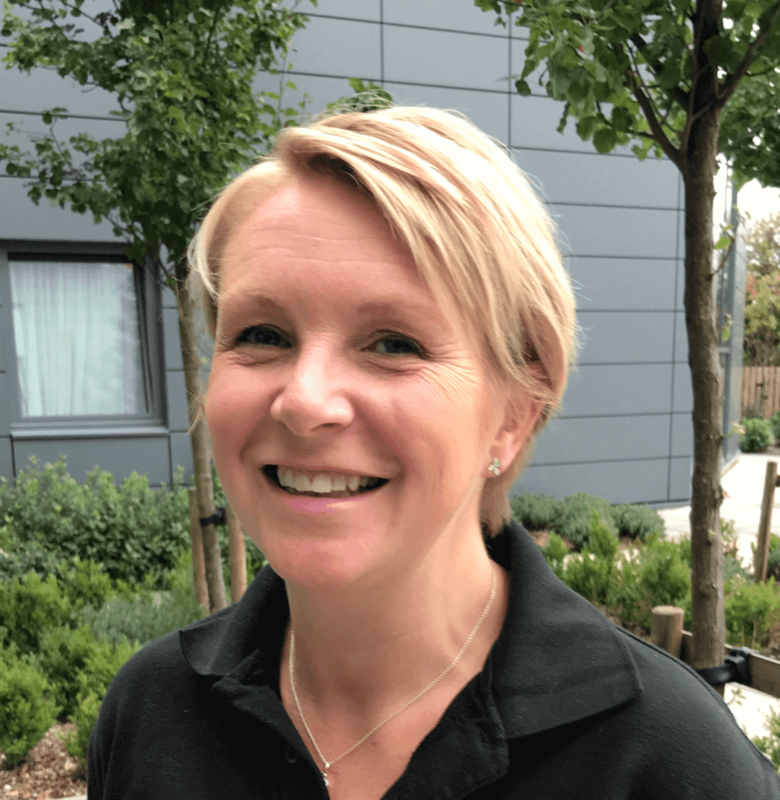 Alternatively, call us now on 0333 600 4567 and we will advise you over the phone. 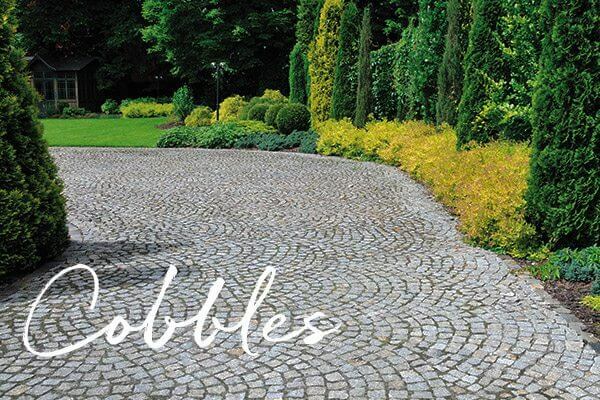 Contact a member of the team directly and have an informal chat about becoming a stockist. 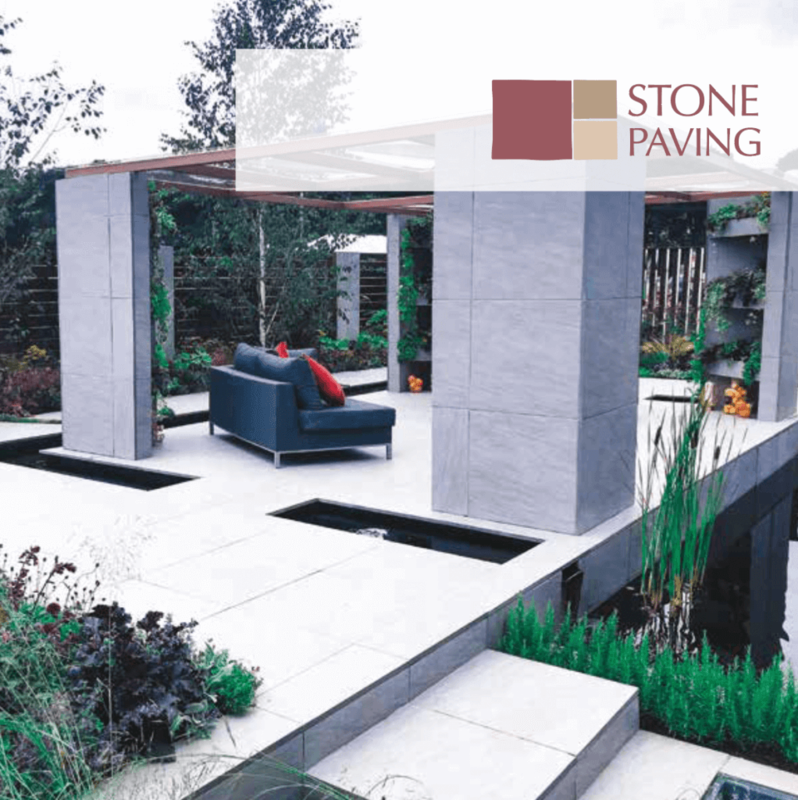 To view the Stone Paving Supplies brochure simply click on the image to the left or simply download a copy and we will update you when new ranges are launched. 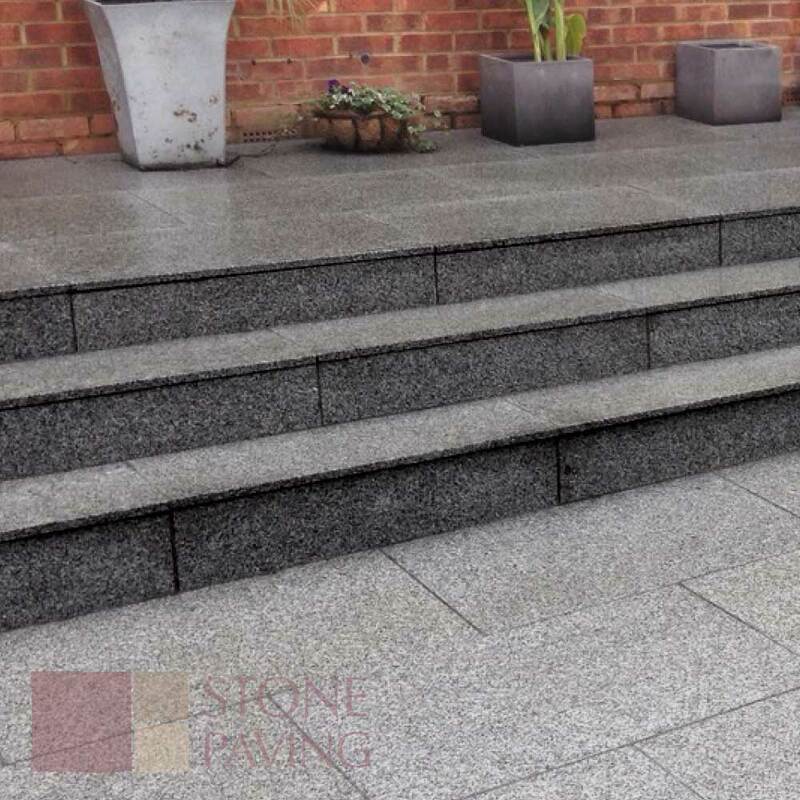 Would you like us to send you one of our glossy brochures? 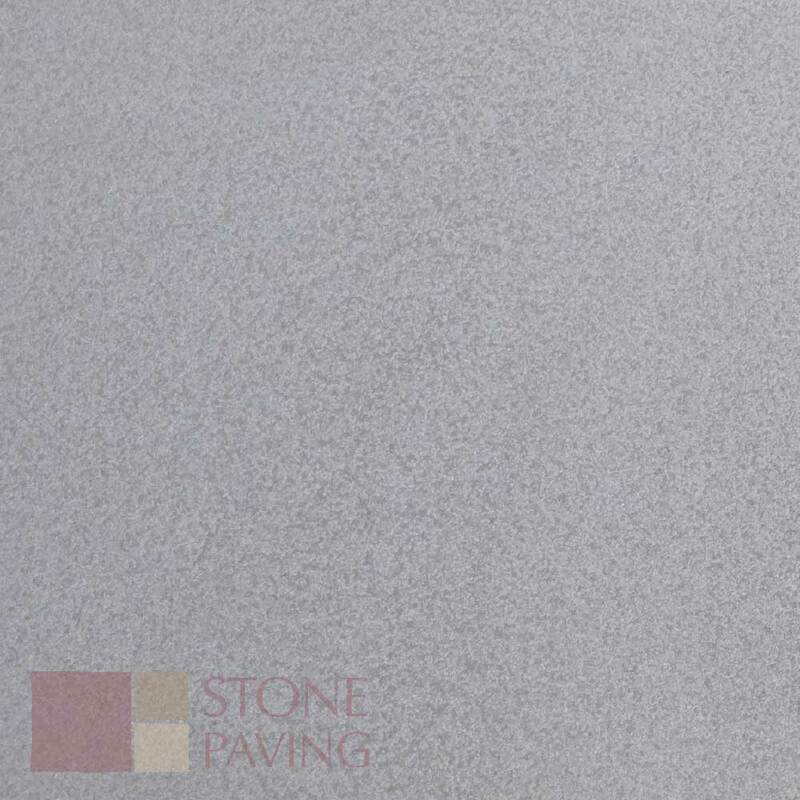 Simply provide you details and we will pop one in the post to you.